The IIT Bombay Student Satellite Team, as a part of social goal is aiming to involve other engineering colleges in the project. 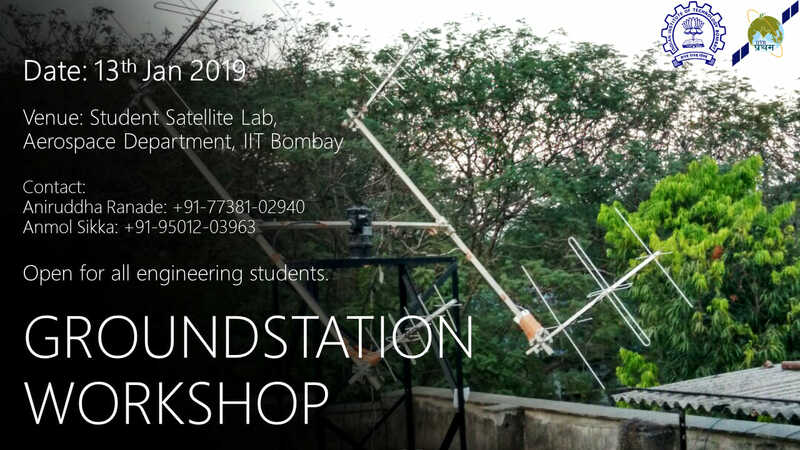 Towards that aim, we are conducting a day-long Ground Station workshop, open for all engineering colleges, to make them well equipped to setup a ground station in their campus.This workshop will cover the technical details of design of antenna, its fabrication and manufacturing, radio handling and gathering, storing and analyzing the payload data. We will also talk about non-technical aspects like team formation, team management and gathering of funds. This workshop is completely FREE of cost. Please note that we will NOT be able to provide accommodation or travel arrangements. Further details will be communicated to those who apply. Hope to see an enthusiastic participation.